Five bucks says it got stuck in the sand. I wonder who had to ride in the trunk? “Dad says he’s solved the car problem once and for all. Handles like a sports car. Has room for all of us. Yet really doesn’t cost much at all. That’s why he went up there on the cliff. Try total performance for a change! 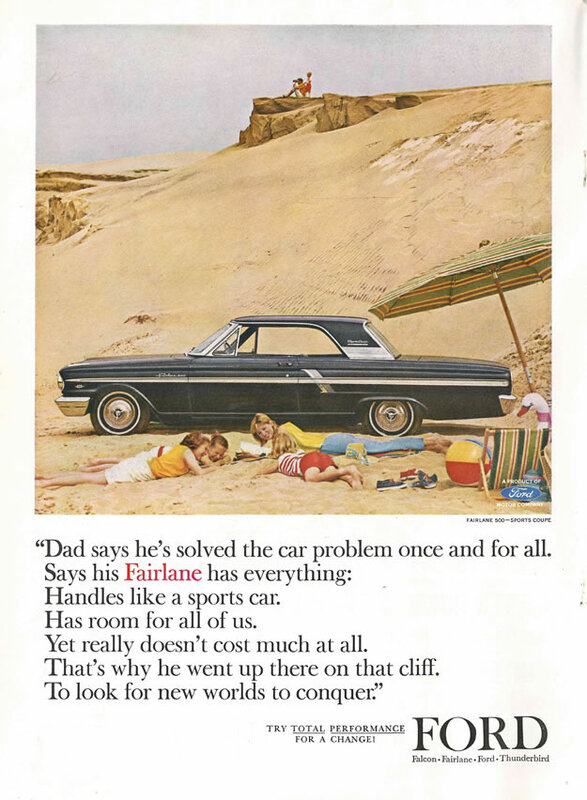 This entry was posted in ads of yore and tagged ads, advertisements, advertising, car advertising, fairlane, ford, magazine ads, print ads, vintage, vintage ads on January 11, 2017 by Clayton Hove.